This post is sponsored by The French Farm for #CookoutWeek. All opinions, as always, are my own. 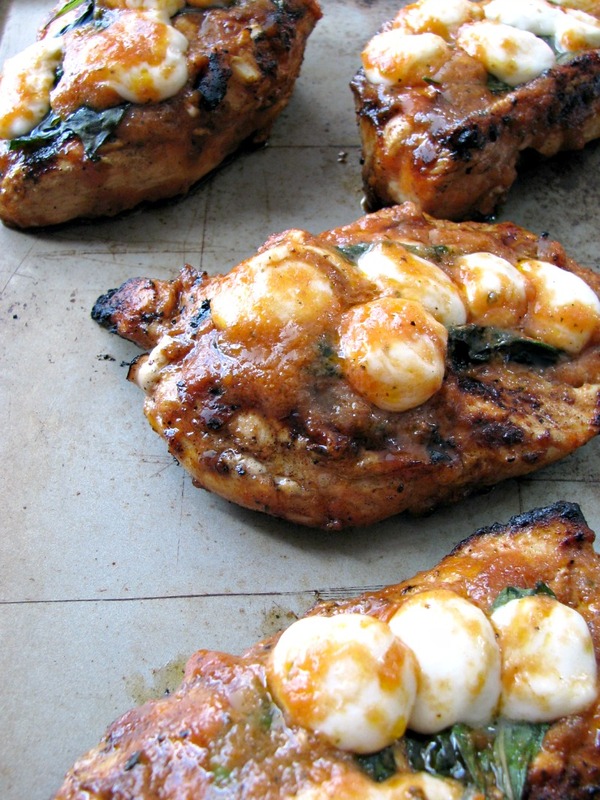 Grilled Sweet Caprese Chicken is made with chicken breasts marinated in a sweet cherry tomato sauce, grilled and topped with basil and mozzarella cheese. Welcome to day 4 of #CookoutWeek hosted by The PinterTest Kitchen. You can read all about the participating bloggers, and find out more about the sponsors on my earlier post this week. 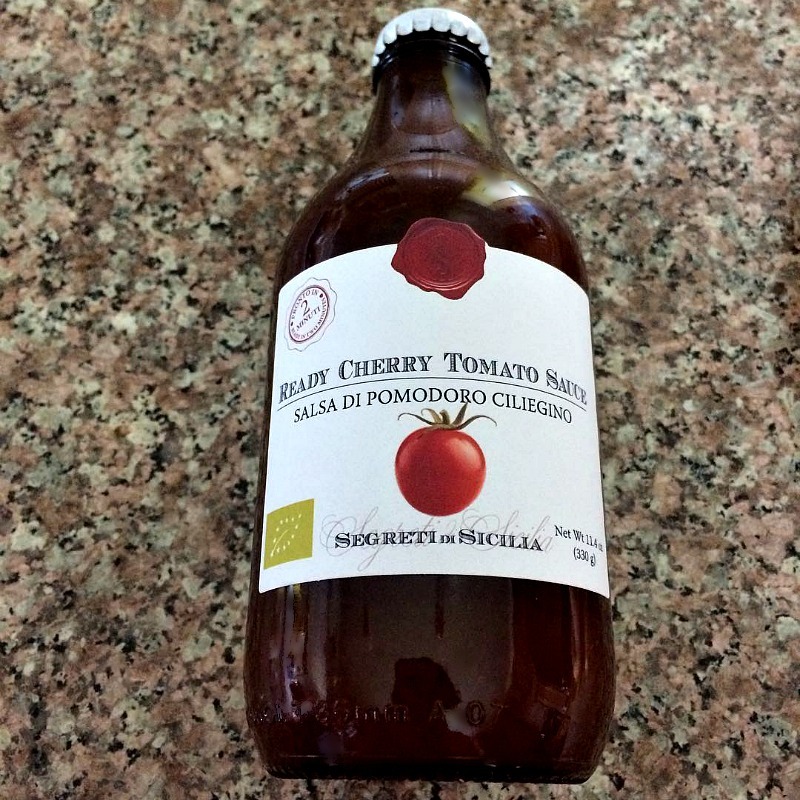 I have to say that when I first tasted this cherry tomato sauce sent to me to try from The French Farm it didn’t taste very much like sweet cherry tomatoes to me. I guess this is one of those things that has to be heated in order to bring out it’s full flavor, because once I tasted this Grilled Sweet Caprese Chicken I could definitely taste it. I’m going to have to order more of it, since we decided not to plant a garden this year due to lack of time to work on it I won’t have fresh cherry tomatoes right on hand. Or cucumbers, or hot peppers…I’m a little sad about it. When cooking chicken breasts I pound them with a meat mallet to make them as much of an even thickness as possible so they cook evenly and are all done at the same time. If you chicken breasts are thicker, they will require a longer cooking time. Simply continue to brush them with the marinade occasionally to keep them from drying out. 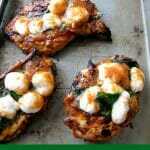 Read on after the recipe for Grilled Sweet Caprese Chicken to see all the other great cookout recipes shared today. 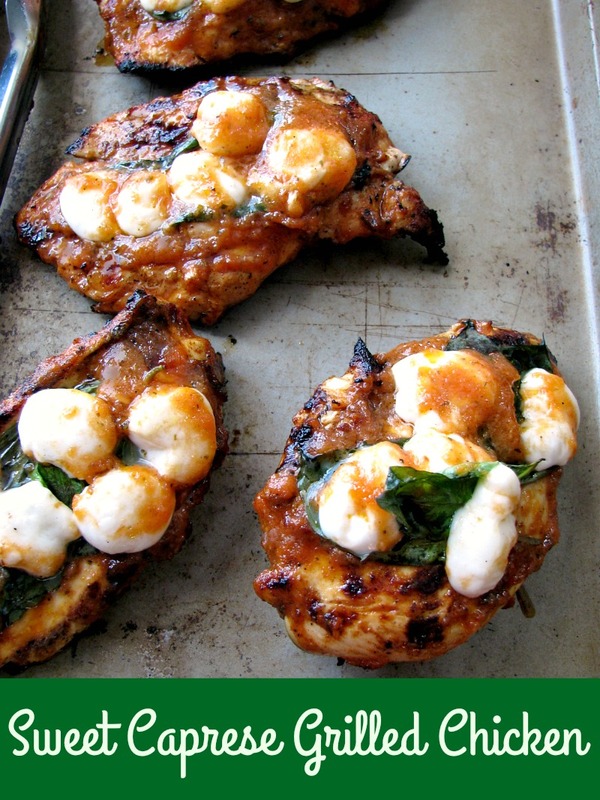 Grilled Sweet Caprese Chicken is made with chicken breasts marinated in a sweet cherry tomato sauce, grilled and topped with basil and mozzarella cheese. In a large bowl whisk together the cherry tomato sauce, olive oil, Italian seasoning, salt and pepper. Place the pounded chicken breasts in a freezer bag and pour the mixture over the breasts. Squeeze the air out of the bag, seal and refrigerate for at least 2 hours, turning occasionally. Heat the grill to at least 400 degrees F. Drain the marinade from the chicken and reserve for brushing. Place the chicken on the grates, brush the top with the marinade, cover and cook for 4-5 minutes. Turn and brush again. Cover and cook for an additional 4 minutes. Turn and brush again. Continue cooking and turning until a meat thermometer place in the thickest part of each breast registers 160 degrees. Place the basil leaves on top of each breast, followed by the mozzarella cheese (press down lightly on them if using the pearls). Lightly brush over the cheese with the marinade. Cover and cook for a few minutes more, until the cheese is melted and the chicken is at least 165 degrees. Prep time includes marinating time. Wow, this chicken looks so delicious. That sauce sounds like a great thing to have in winter when we can’t get local tomatoes. Yes! I will be ordering more soon! This dish sounds amazing. Love it.